Workplace culture has increasingly become a topic of interest in recent years, with “culture” having been declared the most popular word of the year in 2014. In fact, Deloitte research listed culture as a top-three business challenge for leaders and 80 percent of executives in 2016 rated employee experience as an important issue they needed to tackle. 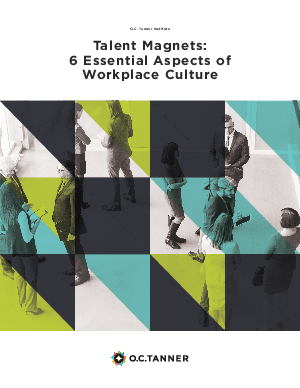 In this white-paper we define, backed by extensive research, the 6 talent magnets for the workplace culture.